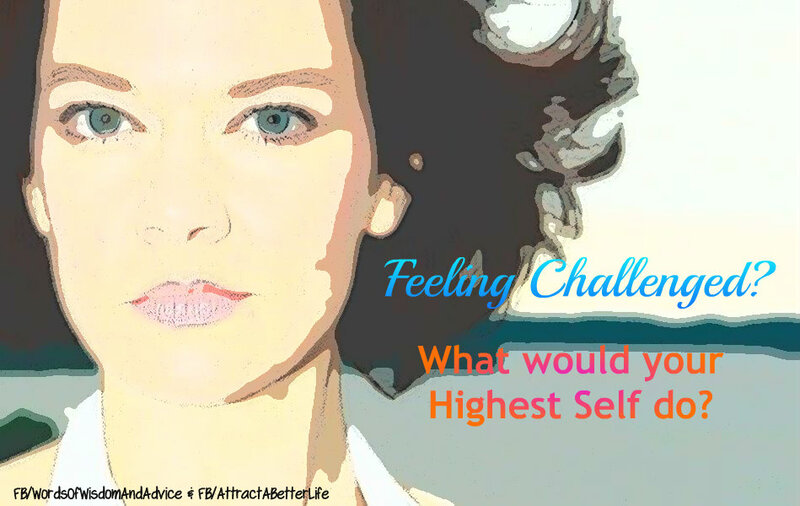 SPIRITUNITY: What Would Your Highest Self Do? What Would Your Highest Self Do? You've had a chaotic day at work only to come home to more chaos. The dog won't stop barking. The kids are little monsters on steroids, fighting with each other. And your spouse is in a very bad mood. You're tired. You're cranky. And you want to run away. But you can't. If you are like some people, when you walk into a war-zone of frenetic energy, you may want to kick the dog, smack the kids, and snap at your significant other. But I wouldn't advise this only because it would create more tension in an already chaotic environment. The worst thing you can do is react. Instead, stop what you are doing, and take a deep breath (or more). The calmer you are, the more rational you will be. Assess the situation and determine immediate steps you can take to remedy the situation. Maintaining self-control is key. Ask, what would my Highest Self do in this situation? *See* yourself handling things like a pro. Then *be* that pro. Step into action and take control. In the case above, you may separate the kids and send them to their respective rooms to await consequences. This will give them time to cool down and give you time to take the next steps. If the dog is still barking, put the dog in time-out with one of the kids or in another room. Spouse still grouchy? Give him or her space. Send thoughts of love. Now that the energy of the kids and dog have settled, you may find your spouse's energy beginning to settle. In the meantime, unwind by doing something relaxing. Allow your Highest Self to step forth. It knows what to do and say in any situation. Breathe and let your inner goddess take over. I do it more often than I would like to admit. How about you? I breathe and surrender, knowing that all will work out. Is It Selfish To Manifest Your Desires?